The recent bizjet action at Hamilton Island Airport continued on Thursday 30 November as the familiar sight of Balmoral Air Dassault Falcon 2000LX bizjet VH-WIO was back on the Island. 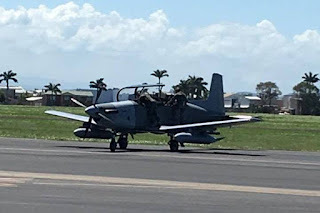 It arrived from its Bankstown base and the looked to complete a scenic joyflight over parts of the Whitsundays and to the North during the early part of the afternoon. 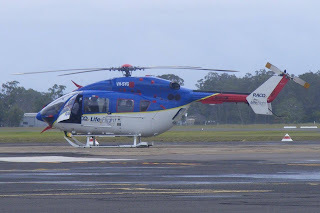 VH-WIO then returned to Bankstown later in the afternoon. On Thursday 30 November, Virgin Australia's brand new and recently delivered Boeing B737-800 VH-YWD not only entered service with the airline, it made its first visit into Central Queensland, operating in and out of Hervey Bay (Fraser Coast) Airport from and back to Sydney as VOZ1555/1556. VH-YWD was delivered to Virgin Australia at Brisbane on Sunday 19 November and has been noted wearing the name 'tinamirakuna'. The aircraft is named after the Macquarie River in Tasmania, which is a key project of Greening Australia, which is also a partner of Virgin Australia. 'tinamirakuna' is the Tasmanian Aboriginal name for the Macquarie River, for the native Palawa Kani language. Of interest, VH-YWD is reportedly the second-to-last 'Next Generation' Boeing B737-800 due for delivery to Virgin Australia before the airline starts taking delivery of its first Boeing B737 MAX in 2019. Finally, over most days this week and also on Thursday 30 November, Virgin Australia also operated their other recently delivered Boeing B737-800 VH-YWA into CQ with it noted operating in and out of both Mackay and Proserpine (Whitsunday Coast) Airports. More Adventures for Air Queensland Piper PA-31-350 Navajo Cheiftan VH-XLB! 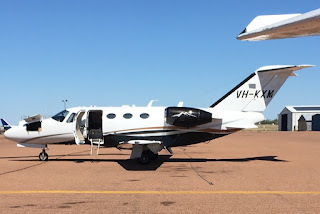 Over the early part of this week, it appeared that Air Queensland Piper PA-31-350 Navajo Chieftain VH-XLB may have completed a series of training flights, which included several landings and airwork at several Central Queensland Airports. VH-XLB has been noted completing a big 'adventure' like this once before earlier in the year! 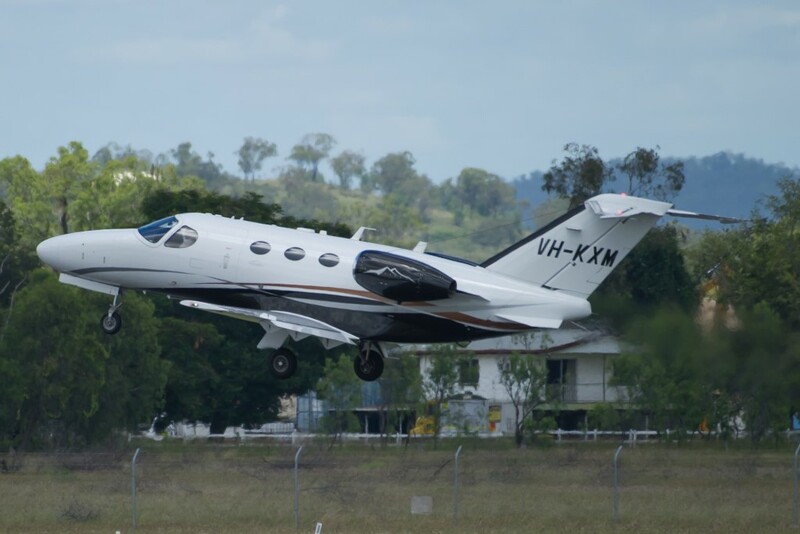 On Monday 27 November, VH-XLB looked to depart its Redcliffe base on a return flight to Bundaberg Airport. Then on Tuesday 28 November, VH-XLB departed Redcliffe for Gladstone, Mackay and Townsville Airports before finishing the day at Cairns. After remaining parked overnight at Cairns, on Wednesday 29 November, VH-XLB departed initially towards Hughenden before continuing to Longreach Airport. From Longreach, VH-XLB then flew to Roma Airport before it then later returned to Redcliffe. We've mentioned previously that Air Queensland is a Redcliffe based Flying Training and Air Charter company that operates a variety of RA-Aus and VH- registered single and twin-engine aircraft including (but not limited too) Sling, Tecnam, Jabiru, Cessna and Piper aircraft. Air Queensland also operates from Caloundra, and more recently, in conjunction with the Bundaberg Aero Club, is now providing flying training (including RA-Aus) and private aircraft hire at Bundaberg Airport. Spotted at Bundaberg Airport on Wednesday 29 November was RACQ LifeFlight (CHC Helicopters Australia / Lloyd Helicopters) Eurocopter MBB-BK 117 C-2 (EC145) helicopter VH-SYG. It arrived from Archerfield via the Sunshine Coast on Monday 27 November. VH-SYG had arrived into Archerfield from the South around 10 days earlier and was spotted resting outside the RACQ LifeFlight hangar on Sunday 19 November. 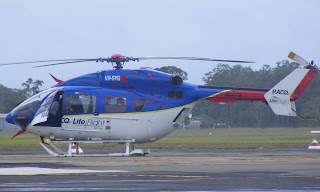 It appears to have since had minor repaint and have RACQ LifeFlight titles added and now VH-SYG will be operating medical retrieval flights for RACQ LifeFlight out of their Bundaberg Airport base. 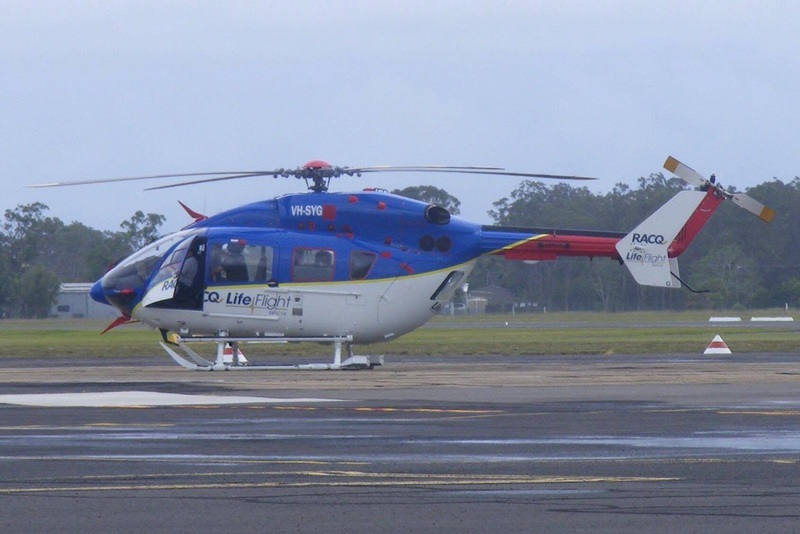 Meanwhile, fellow RACQ LifeFlight Bell 412 helicopter VH-XCO - which has been operating out of the Bundaberg Airport base since late September - positioned from Bundy to Archerfield direct also on Monday 27 November. 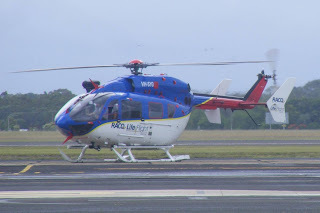 It was also interesting to note that fellow RACQ LifeFlight Agusta Westland AW139 helicopter VH-XIL had been operating out of Bundaberg Airport in more recent times as "Rescue 522". 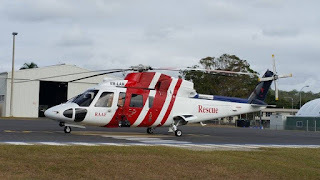 It was also spotted at Bundy on Wednesday 29 November, resting inside the LifeFlight / Royal Flying Doctor Service of Australia (RFDS) hangar before it departed to the Sunshine Coast in the early evening. Of interest, MBB-BK 117 C-2 (EC145) helicopter VH-SYG was until recently operating for the Ambulance Service of New South Wales (NSW) out of Bankstown Airport often as "Rescue 22". It operated alongside another Eurocopter MBB-BK 117 C-2 (EC145) helicopter - VH-SYB - and three Agusta AW139 helicopters - VH-SYJ, VH-SYV and VH-SYZ. 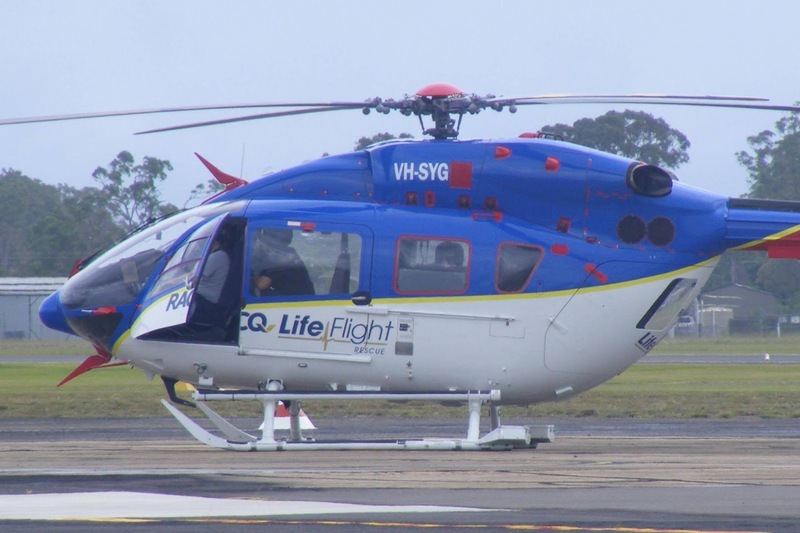 It also appears that as well as now operating VH-SYG, RACQ LifeFlight has also taken delivery of VH-SYB with the MBB-BK 117 C-2 (EC145) chopper also recently believed to have positioned into Archerfield from the South last Sunday 26 November. The Greater Sydney Area Helicopter Emergency Medical Service (GSA-HEMS) contract has recently been awarded to the Toll Group who has officially launched the Toll Rescue Helicopter Service in partnership with the Ambulance Service of NSW to provide aeromedical services to communities of NSW in the Southern Zone including rescue helicopter bases at Bankstown, Wollongong, Orange and Canberra. 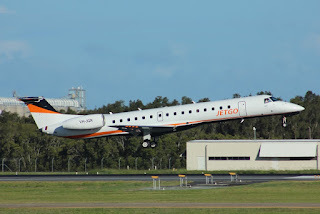 JetGo Australia's First Embraer ERJ-145LR Regional Jet VH-JGR Pops into Middlemount Aerodrome on FIFO Duties! JetGo Australia's first Embraer ERJ-145LR regional jet, VH-JGR, has made its first visit to Central Queensland late on Tuesday 28 November, with it noted completing a Brisbane to Middlemount Aerodrome and back Fly-in Fly-out (FIFO) charter flight as JG23/24. 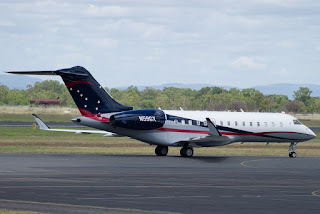 VH-JGR arrives back at Brisbane on Sunday at the completion of its first revenue flight to Wagga Wagga and back. 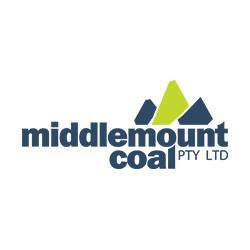 As mentioned previously, this FIFO contract that JetGo Australia has picked up is on behalf of Middlemount Coal. 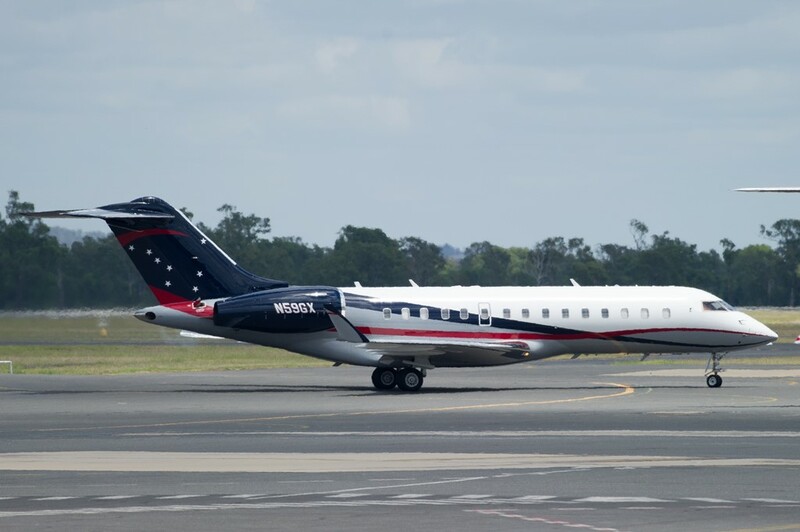 The flights were initially flown flown by the airlines Embraer E-135 and E-140 aircraft but now should be regularly flown by this first (possibly of four) 50-seat Embraer E-145 regional jets. At the time of writing, VH-JGR was scheduled to return to Middlemount Aerodrome early on Wednesday 29 November, again flying in from Brisbane and back but as JG27/28. Gulf Coast Aviation Cessna 510 Citation Mustang Bizjet VH-KXM Pops into Longreach Airport Twice - Plus More a Couple More Bizjet Movements on Hamo! 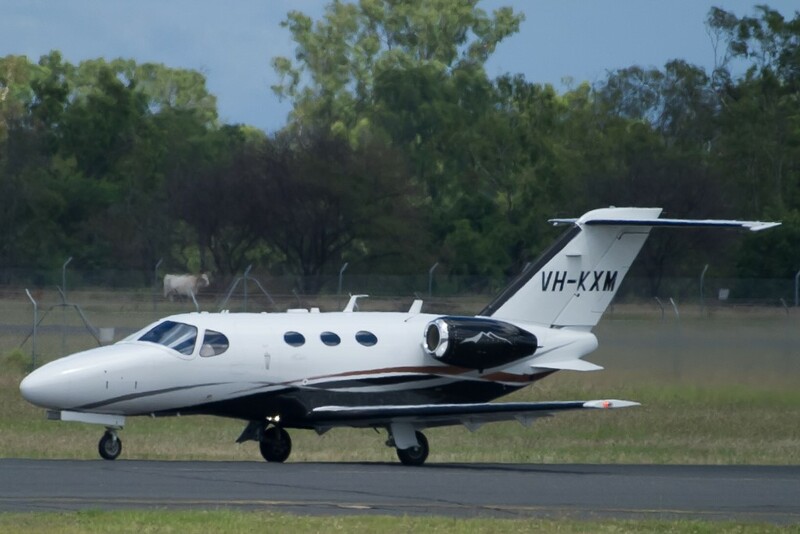 The familiar sight of Gulf Coast Aviation Cessna 510 Citation Mustang bizjet VH-KXM was once again back at Longreach Airport - twice - on Tuesday 28 November. VH-KXM initially called in from Bankstown and then departed to Normanton. It later returned to Normanton and appeared to be parked up for the night. Indeed at the time of writing, VH-KXM is scheduled to depart Longreach Airport and return to Bankstown early on Wednesday 29 November. Meanwhile, familiar Australian bizjets continued to come and go at Hamilton Island Airport. 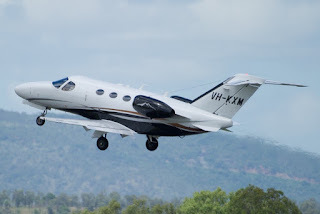 After arriving at Hamilton Island Airport the previous day, Homada Pty Ltd Cessna 560XL Citation XLS bizjet VH-XCU departed for Melbourne (Essendon) and then Melbourne (Moorabbin) also on Tuesday 28 November. 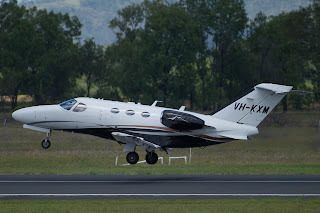 While Vanguard Aviation Cessna 525 CitationJet1 bizjet VH-DAA also paid Hamilton Island Airport a visit on Tuesday 28 November, arriving from and later departing back to Archerfield. 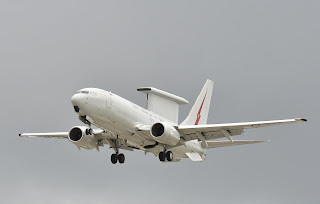 On Tuesday 28 November, Royal Australian Air Force (RAAF) Boeing B737-7ES / E-7A Wedgetail Airborne Early Warning & Control (AEW&C) aircraft A30-005 was noted completing a missed approach at Rockhampton Airport. It flew up from the South and then continued further North to Townsville where it photographed below on finals to Townsville Airport. 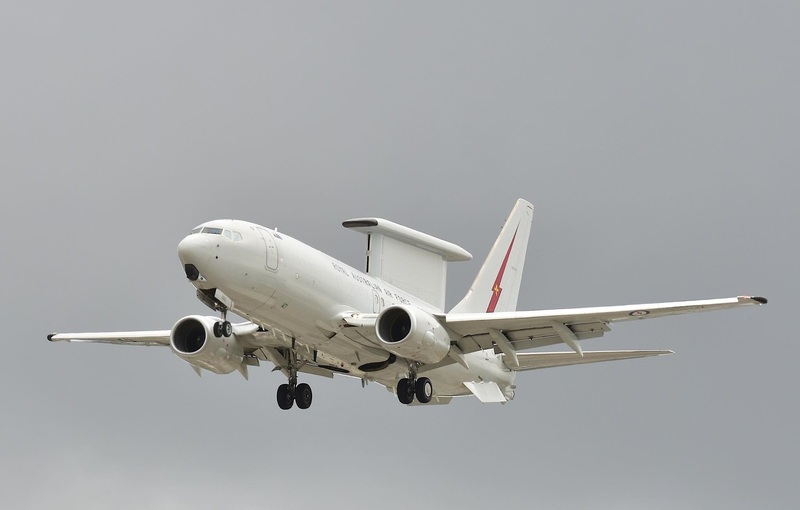 It is believed that the Wedgetail is currently participating in the RAAF's Exercise High Sierra which is currently underway around Townsville. A30-005 was heard be using the radio callsign of "Mitchell 03". 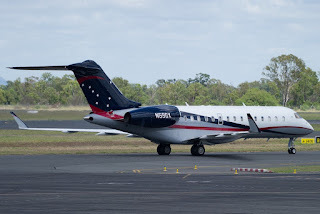 Meanwhile, also completing a missed approach at Rockhampton Airport but late on Monday 27 November was Australian Maritime Safety Authority (AMSA) (Cobham SAR Services Pty Ltd) Bombardier CL-600-2B16 Challenger 604 bizjet VH-XNE. It flew South from and then later returned to Cairns where it is currently based. 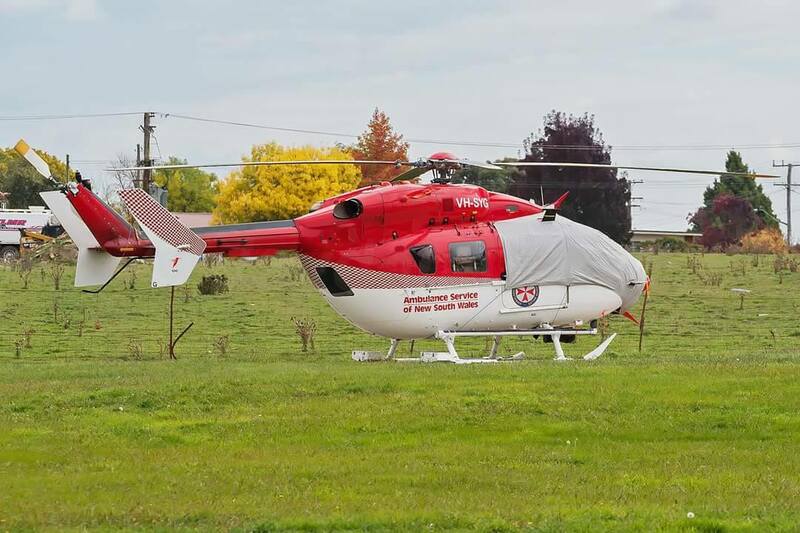 VH-XNE was heard to use the radio callsign of "Rescue 330". 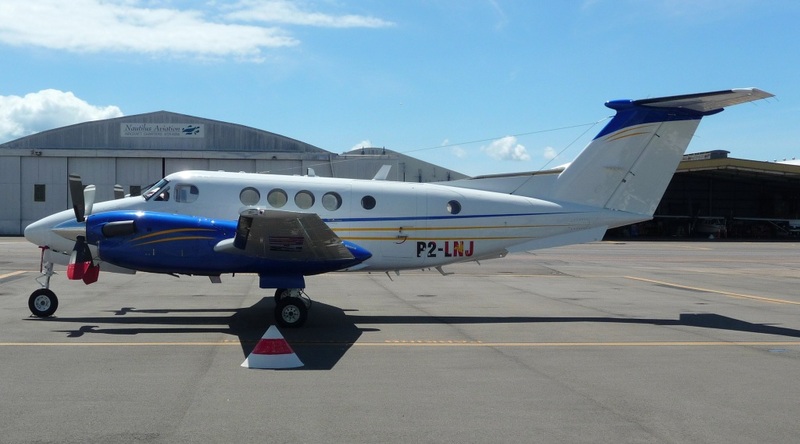 On Tuesday 28 November, McDermott Aviation Group / Machjet International Beech B200 King Air P2-LNJ was noted completing airwork at Gladstone Airport before calling into Maryborough Airport for a short time. 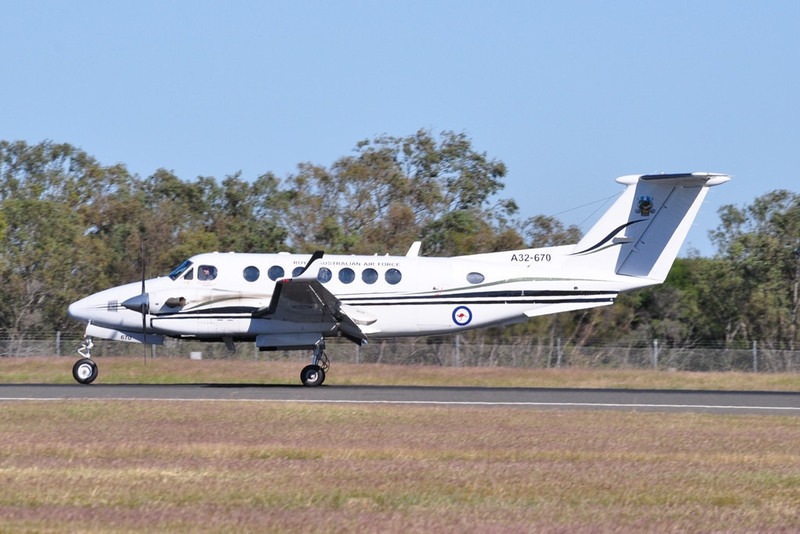 The attractive King Air looked to have flown up from the Sunshine Coast and completed a missed approach at Gladstone Airport. 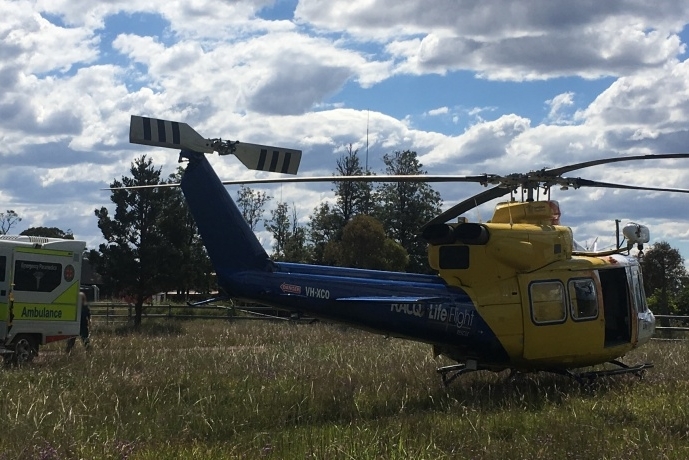 It then flew South and was believed to have landed at Maryborough Airport for a short time before returning to the Sunshine Coast. 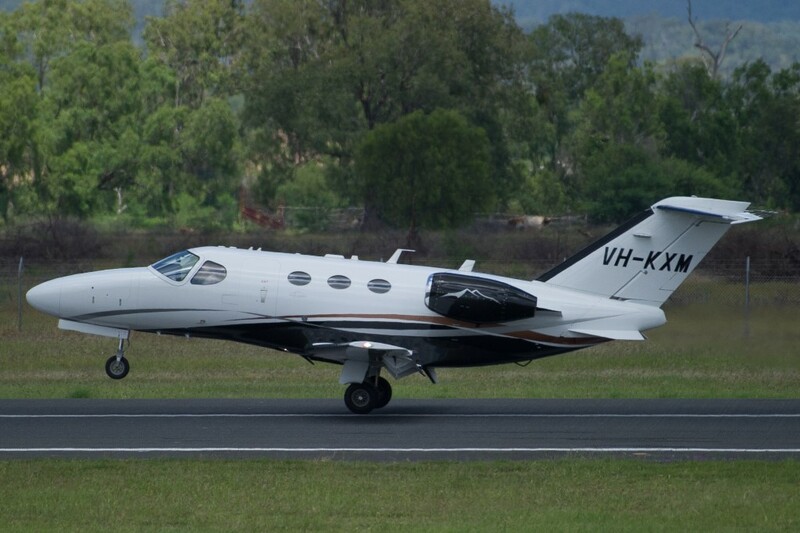 After arriving on the weekend from Sydney - see Blog post below - on Monday 27 November, the visiting American-registered Gulfstream Aerospace G-V-SP (G550) bizjet N550DX was noted departing Hamilton Island Airport possibly to Adelaide. It is believed that this aircraft is owned by 'Rooms To Go', which is owned by Jeffrey and Morty Seaman. 'Rooms To Go' is the 3rd largest furniture retailer in the United States of America (USA). Meanwhile, also on Monday 27 November, Homada Pty Ltd Cessna 560XL Citation XLS bizjet VH-XCU arrived into Hamo from Melbourne (Moorabbin) via Melbourne (Essendon). It looks to be staying for at least the night. 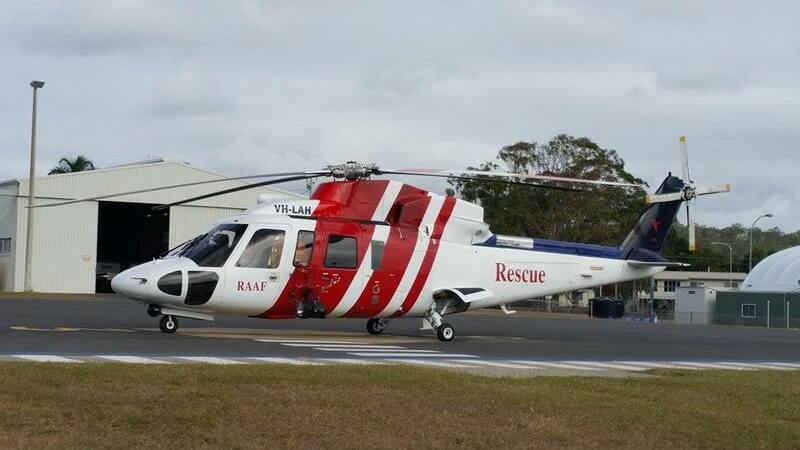 On Sunday 26 November, Royal Australian Air Force (RAAF) Search and Rescue Sikorsky S-76A helicopter VH-LAH was noted passing through Gladstone and Mackay Airports heading North from RAAF Base Amberley to Townsville. 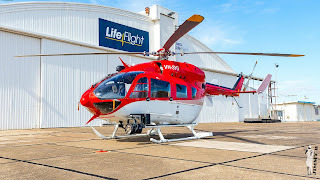 VH-LAH is owned by Lloyd Helicopters and operated by CHC Helicopters Australia, and is one of a number of choppers used for RAAF Search and Rescue missions. On this ferry flight, it was noted using radio callsign of "Choppa 42". 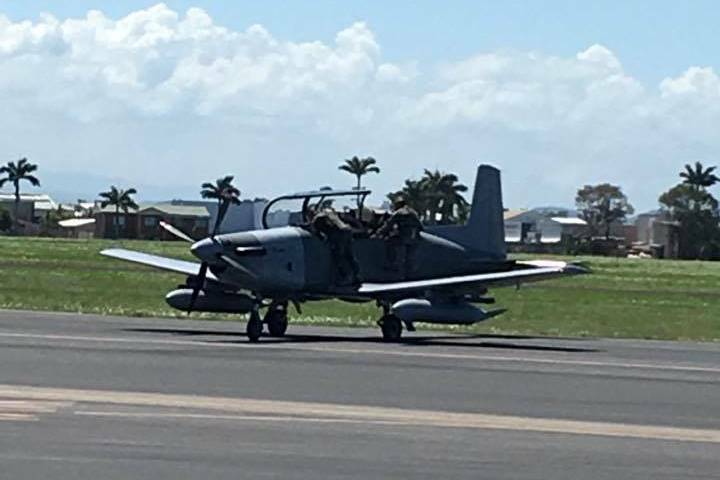 It appears to be ferrying to Townsville where it will participate in the RAAF's Exercise High Sierra - the final training exercise for pilots graduating from Number 2 Operational Conversion Unit. No. 2OCU Squadron which operates out of Williamtown. The Exercise is expected to take place around Townsville over the next couple of weeks. 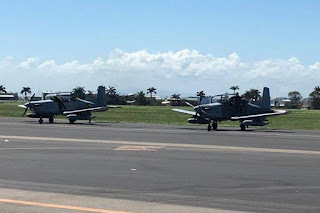 And RAAF Pilatus PC-9/A Trainers A23-031 & A23-020 Pass Through Mackay Airport Heading North as "Reaper"
Also on Saturday 25 November, a pair of Royal Australian Air Force (RAAF) Pilatus PC-9/A training aircraft were spotted on the ground at Mackay Airport. They were identified as A23-031 and A23-020. After taking on fuel, they continued further North to depart Townsville where it is believed that they will participate in the RAAF's Exercise High Sierra - the final training exercise for pilots graduating from Number 2 Operational Conversion Unit. (No. 2OCU) Squadron which operates out of RAAF Base Williamtown. The two PC-9s are both flown by the RAAFs 4 Squadron (Forward Air Control) based at RAAF Base Williamtown. Number 4 Squadron consists of three flights, with 'A Flight' comprising the aircrew responsible for operating the four Pilatus PC-9/A Forward Air Control (FAC) variant aircraft. They were heard to be using the radio callsign of “Reaper” as they flew North from Mackay Airport. It was interesting to note that on Saturday 25 November, a pair of Royal Australian Air Force (RAAF) Beech B350 Super King Air turboprops called into Rockhampton Airport before heading overseas. Super King Airs A32-670 as "Ausy 770" and A32-675 as "Ausy 771" initially arrived into Rocky singularly from Townville. After refuelling and enjoying a short break they both then departed singularly, to La Tontouta International Airport, Nouméa, New Caledonia. 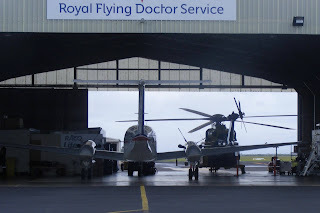 Of interest, both Super King Airs are flown by the RAAF's 38 Squadron out of Townsville. 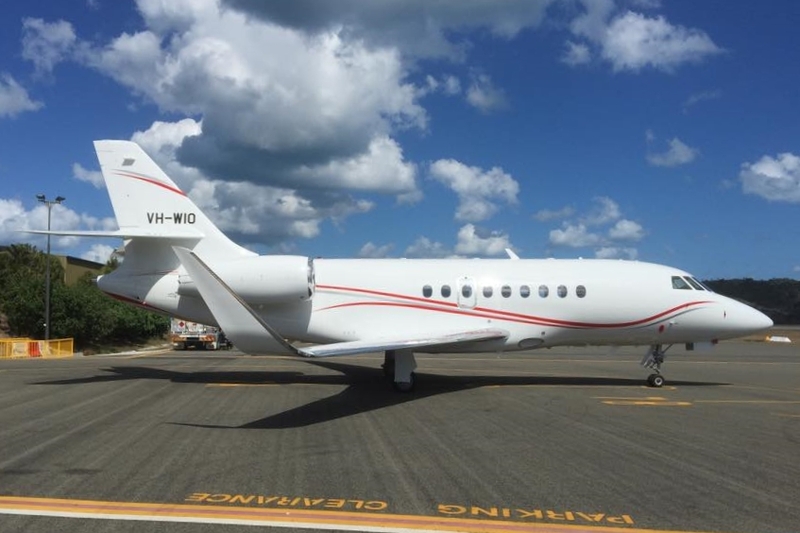 On Saturday 25 November, American-registered Gulfstream Aerospace G-V-SP (G550) N550DX was noted arriving into Hamilton Island Airport from Sydney. It looked to arrive into Sydney from Honolulu, Hawaii during the latter part of last week and appears to be staying for at least the night on Hamo. A sad incident we've been made aware of involving a familiar aircraft to Rockhampton Airport and CQ skies with a United States Navy (USN) Grumman C-2A Greyhound Carrier Onboard Delivery (COD) Aircraft crashing into the ocean South-East of Okinawa, Japan, on Wednesday 22 November. The aircraft involved has been identified as 162175 / NF-33 of the Fleet Logistics Support Squadron 30 (VRC-30 Detachment 5). It was one of two Greyhounds that were frequent visitors to Rockhampton Airport during joint Military Exercise Talisman Saber 2013 - as pictured. The Greyhound was reportedly enroute from Marine Corps Air Station Iwakuni (MCAS Iwakuni) in Japan to the US Navy carrier USS Ronald Reagan (CVN 76) carrying 11 crew and passengers. 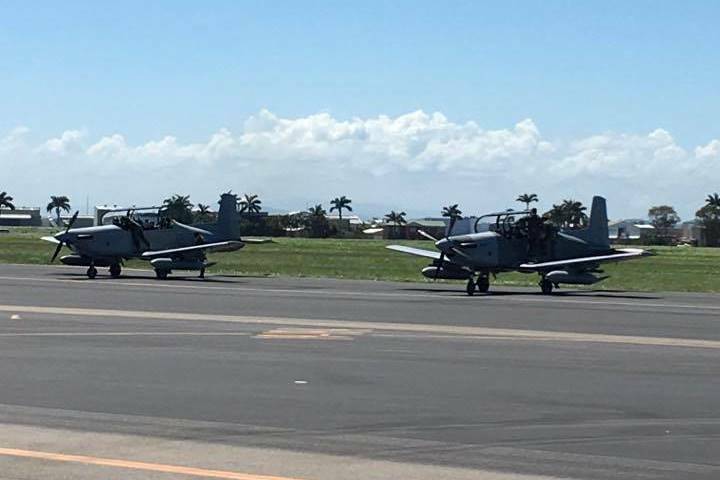 Sources say the aircraft was 'on approach' when crashed into the ocean South-East of Okinawa. Three people are missing. Eight people were rescued in good condition. Our thoughts and prayers go to the victims and their families and friends. 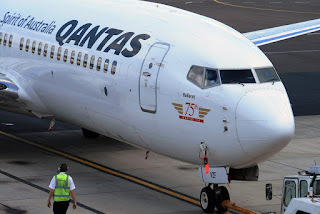 On Wednesday 22 November, Qantas Boeing B737-800 VH-VZF was noted operating into Hamilton Island Airport on the scheduled QFA866/867 service from and back to Sydney. The B737-800 was originally ordered by Qantas back in 2009 and was registered VH-VZF in August of that year. 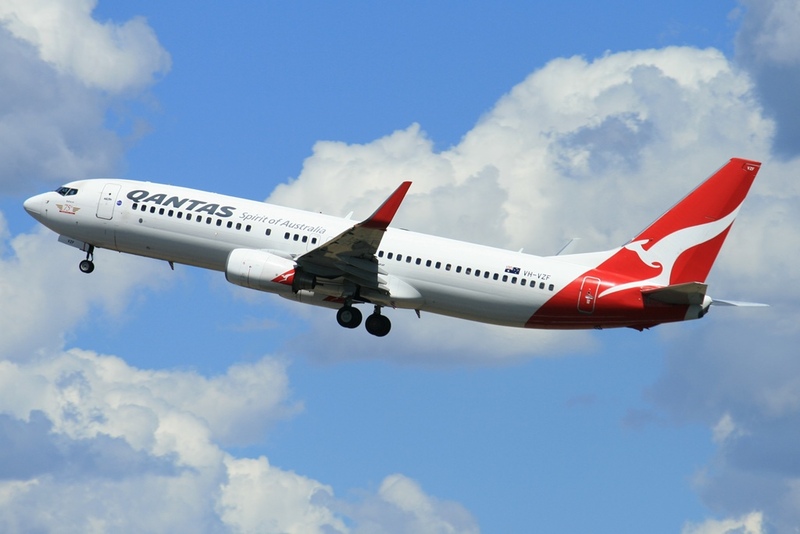 It was accepted by Qantas in early September 2009 and was the 162nd Boeing airliner delivered new to Qantas and the the 42nd Boeing B737 delivered new to Qantas. VH-VZF also had a special '75th' logo and titles on the nose indicating that it was the 75th Boeing B737 to be delivered to the Australian Airlines / Qantas Airways group. 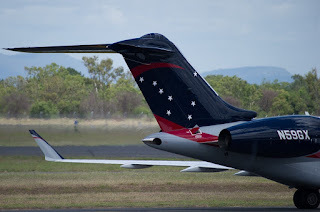 At that time too, VH-VZF also carried the New Zealand flag and 'ZQA' on the nosewheel doors. 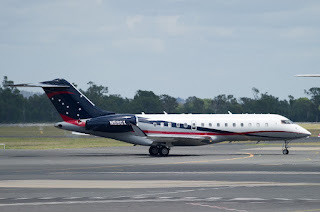 Soon after its arrival into Melbourne, the aircraft entered the New Zealand aircraft register as ZK-ZQA during the middle part of September 2009 with Jetconnect Ltd in Auckland, New Zealand as the registered operator. After then ferrying to Auckland Airport, ZK-ZQA was named 'Jean Batten' and then operated its first Qantas Jetconnect revenue service from Auckland to Brisbane as QFA116 on Thursday 17 September 2009. 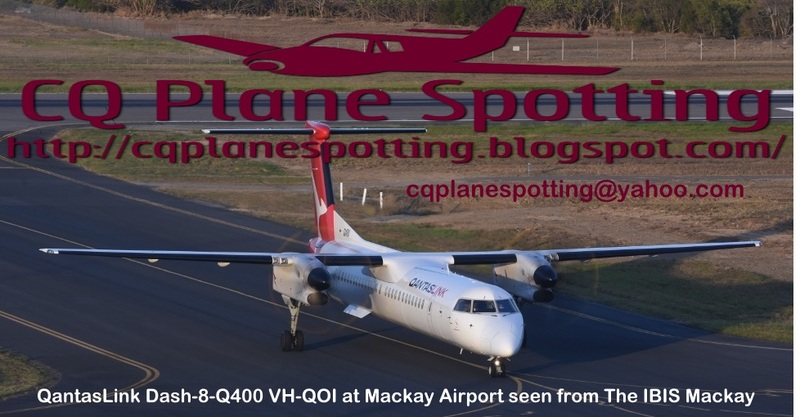 ZK-ZQA operated its final service for Qantas Jetconnect this year on Wednesday 25 October when it arrived into Brisbane from Auckland as QFA124. The aircraft was then cancelled from the New Zealand aircraft register and was then re-registered as VH-VZF, again with Qantas as the registered operator. VH-VZF was also renamed 'Ballarat'. After a test flight from and back to Brisbane, VH-VZF entered service with Qantas on Friday 10 November. VH-VZF is pictured above at Adelaide Airport on Monday 20 November. Australian Army NH Industries MRH-90 Multi-Role Helicopters A40-013 & A40-011 Both Pop into Rockhampton as "Warhorse 77"
On Friday 24 November, it was interesting to note that two Australian Army NH Industries MRH-90 Multi-Role Helicopters both called into Rockhampton Airport both using the same radio callsign of "Warhorse 77". During the morning, A40-013 was spotted departing Rocky for Brisbane. It had earlier arrived from Townsville. 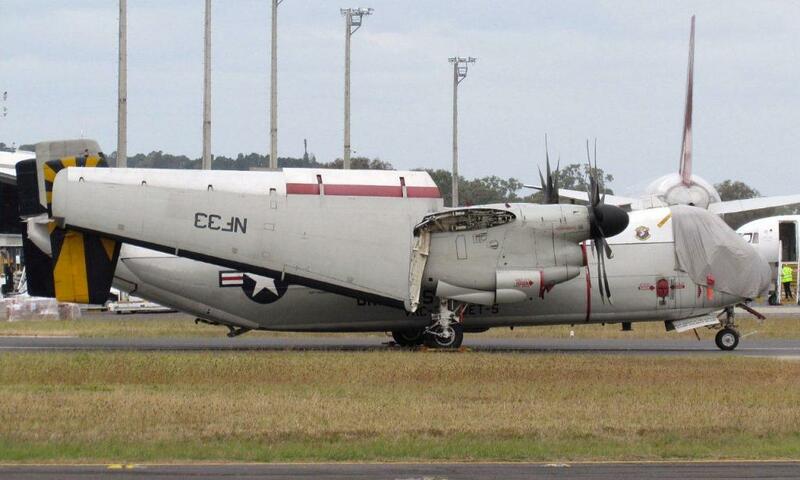 While later in the day, A40-011 popped into Rockhampton Airport from Brisbane. It later departed to Townsville. Another nice visitor to CQ this week with American registered Bombardier BD-700-1A10 Global Express bizjet N59GX touching down at Rockhampton Airport during the morning on Friday 24 November. The attractive bizjet was photographed arriving into the beef capital from the Sunshine Coast. After a few hours on the ground, N59GX departed Rockhampton Airport returning to the Sunshine Coast via a low-level sight-seeing diversion from near Bundaberg down the coast East of Fraser Island back to the Sunny Coast. Meanwhile, also arriving into Rockhampton on Friday 24 November was the familiar sight of Gulf Coast Aviation Cessna 510 Citation Mustang bizjet VH-KXM which arrived from Archerfield. It was photographed later departing for Bankstown. Finally, on Thursday 23 November, it is believed that Gulf Aircraft Cessna 680 Citation Sovereign bizjet VH-PYN popped into Mackay Airport. It is believed to have called in from Townsville and was later noted departing Mackay Airport for the South. Sincere thanks to the Rockhampton plane spotters for sending through these great photos of a great bizjet visitor to CQ!